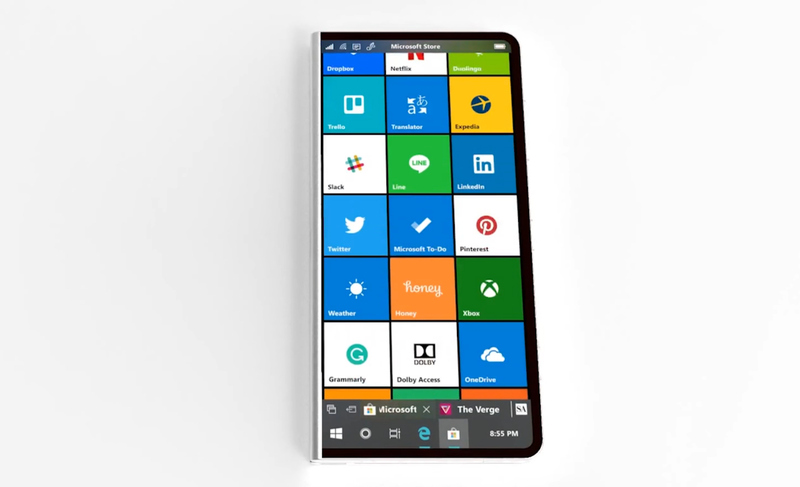 Windows 10 Mobile might be all but dead and buried, but there have been rumors of a new Surface Phone for a while now. The phone, should it exist, is expected to be a foldable device with a hinge in the middle and two displays, allowing it to switch from phone to tablet mode in seconds. Taking the rumors that abound about the phone, and discovered patents, Harry Dohyun Kim has created a concept of the device, which you can see below (via Windows Latest). His vision of the Surface Phone doesn’t contain the now ubiquitous notch which is to be found on most new devices, and quite how it would work with a case remains to be seen (given that screens on both sides seems like an accident waiting to happen), but actually it looks like a really nice phone. If Microsoft did produce something like this, would you buy it?